run by the Trustees of the Dolcorsllwyn Hall Association. For over 50 years Dolcorsllwyn Hall, (or “Dolly Hall” as it has been known to thousands of visitors over the years) has existed to provide residential accommodation for children and young people from underprivileged or needy backgrounds, especially those from Merseyside. The DHA Charity has worked with schools, groups and organisations to provide the perfect location for them to enjoy what for some is a life changing experience. In order to meet our goal that no child or young person should miss out on the opportunity of a visit we have now broadened our visitor range. During those periods when the Hall is not being used by schools and youth groups we also allow family groups to attend. But our ethos remains the same as ever and therefore we are careful that all visiting groups meet the correct criteria to be eligible. Special place… “Dolly Hall” is a beautiful old mansion house on the banks of the River Dovey in Wales which can accommodate up to 26 at any one time. It is a very special place. If you are a past visitor to the Hall you will need no further explanation of this statement. For those of you yet to visit, the magic of the Hall is yet to be discovered, but once you do visit we have no doubt that old Dolly will cast her spell on you too. Our Hall provides young people with the base to enjoy a holiday in an environment much different to the one perhaps that they live in. This can involve a whole range of activities from outdoor pursuits (climbing, kayaking, hill walking, pony trekking) to football games against local teams, art, drama, swimming, local history, geography field work, GCSE revision etc. Charity… The Hall is owned and looked after by the Trustees of the Dolcorsllwyn Hall Association, a registered charity. The charity receives no direct funding from anyone and all our income comes from donations, our own fund raising efforts and the money brought in by visitors. How can you help? The charity requires funding to enable essential building repairs, maintenance and refurbishment to be undertaken at the Hall. All assistance is warmly welcomed, hugely appreciated and no matter how big or small, your input can really help to make a big difference. We are always on the look-out for skilled trade people who can offer their time and labour for free for as little as one weekend a year. We have learned that lots can be achieved with a large number of skilled people in a very short time. 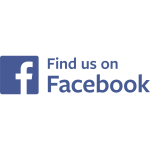 Please see our Events and Donations pages to see how you can become involved and help. 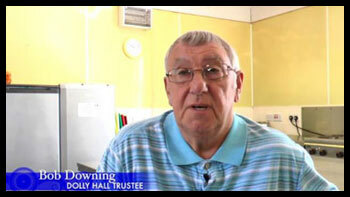 "The Dolly Hall charity has helped tens of thousands of Merseyside kids during the last 50 years. It is vital they raise the funds they need to continue this excellent work"
"Dolly Hall is a special place. The work the charity does is special, because they enable Inner City kids to enjoy a holiday in the countryside which in all probability they would not otherwise enjoy. Youngsters from all over Merseyside, kids from Kirkby, where I grew up, have and still benefit hugely from a visit to Dolly Hall. The Dolly Hall charity has helped thousands of children and young people over the years and we need to make sure they can continue to do so for years to come. If we all help a bit then the task becomes easier"
"Dolly Hall exists to help underprivileged children in the Merseyside area. I would urge everybody to get behind this fundraising event and help make a difference for this local charity and local kids"
Please support “Dolly Hall” and help us to ensure that it is there for generations to come.